The annual ATC Language Industry Summit brings together businesses and professionals from across the translation industry and all over the UK and Europe. It’s therefore a pleasure to announce our presence at this year’s event. VoiceBox’s Managing Director, Alex-Michelle Parr, and General Manager, Sim Johnston, are attending the summit, which is being held in Cardiff from the 20 to 22 September. All summit attendees will be able to take part in industry masterclasses and benefit from the insight of expert speakers, who’ll be discussing the influence of Brexit on language service providers and the changing landscape of the industry on the continent. The summit will see associations from across the UK coming together to discuss the prospect of greater collaboration in the world of language services. Roy Allkin, CEO of Wolfestone Holdings is also heavily involved in the event as the current chair of the ATC. He says: “It’s a great opportunity for those who attend to learn about what’s going on in the industry. 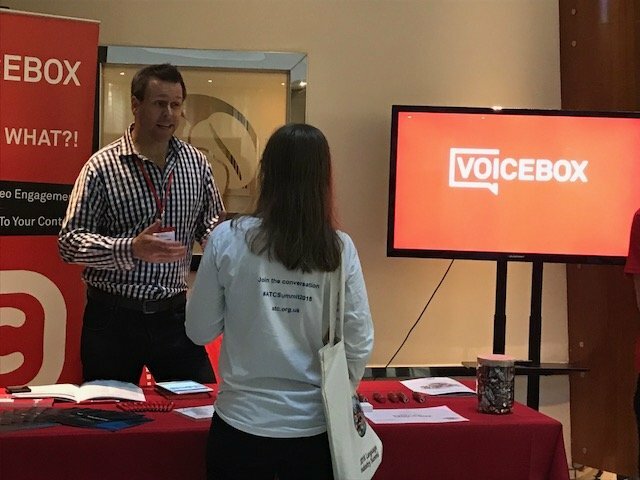 The event marks a huge occasion in the language industry calendar, and the VoiceBox team is treating it with the respect it deserves. Throughout the course of the two-day event, Sim will be on-hand to answer any questions attendees may have relating to our specialist subtitle, transcription and voiceover services. And with hundreds of people attending the event each year, he looks set for a busy few days. As well as being a window of opportunity to listen to informative speakers, the ATC summit gives Sim the chance to talk to current clients and potential customers face-to-face. This entry was posted in Tradeshows and tagged ATC, Sim, Trade shows, Travel, VoiceBox.